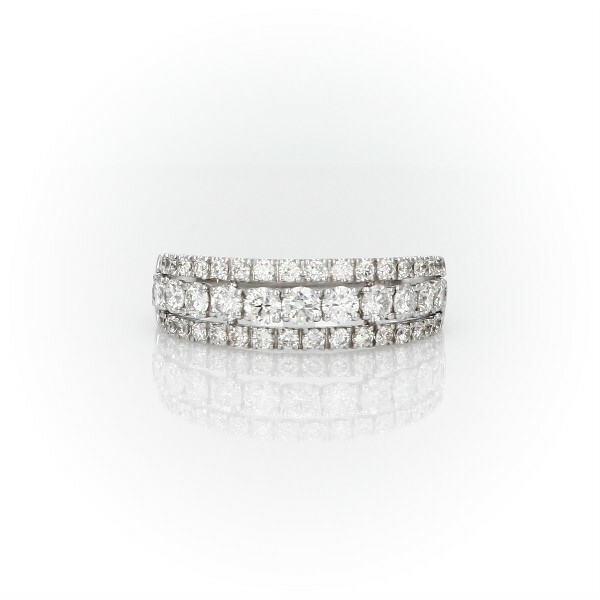 A trio of diamond rows shines from their settings in 14k white gold on this eye-catching fashion ring. Over forty diamonds and 1 carat sparkles for everyone's attention and admiration. Due to this ring's delicate nature, we do not recommend for daily wear and are unable to repair.